Rogers' brothers and sisters were: James Zacheus (b.1842), Eliza Maria (b. 1841), Sophia Louisa (b. 1844), Maria McGregor (b. 1845), Amelia Mary (b. 1848), George Charles (b. 1854), Edwin Robert (b. 1859), Alfred Burnham (b. 1864). One of Rogers' brothers, Col. J. Z. Rogers commanded his father's Volunteer Company. In 1879 he accepted command of the 57th Battalion of the [Peterboro] Rangers for 16 years. Col. James Zacheus was also very well known as president of the famous Peterborough Canoe Company. He started the company in Ashburnham, making canoes of light cedar and basswood, and exporting them around the world. The Canoe Company was located on Elizabeth Street, across from his father's store. He was also very active in lumbering. George Charles continued the management of the Otonabee Flouring Mills, succeding his father Robert David and was also an officer in the militia. He died in an accident in 1883. Edwin Robert entered into the mercantile business and conducted his affairs in many locations including Uxbridge, Ontario, Winnipeg, Manitoba and Calgary, Alberta. Alfred Burnham served with the Midland Battalion during the Northwest Rebellion of 1885. After his service he near Calgary. Eliza Maria married Robert A. McNab in 1859. Sophia Louisa married Richard Mead of Peterborough in . 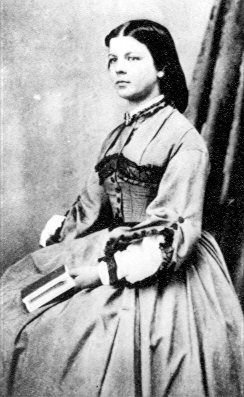 Maria McGregor married John Burnham, M.P., of Peterborough in 1868. Amelia Mary married Samuel Roberts Price, also of Peterborough, in 1873. Both of Rogers' sisters Sophia and Maria are mentioned extensively in his diaries. Rogers spent much time in their homes specially prior to his marriage. It is also noteworthy to mention Col. Henry Cassady Rogers, who was Rogers' cousin. He worked at his uncle Robert David's store in his early years and then formed a partnership operating a store with H.T. Strickland, his brother-in-law. He was also in the militia and accepted the command of a regiment with the Prince of Wales Royal Dragon Guards. He died in 1909.